I’m sitting on my couch watching a repeat episode of one of the most coveted talk shows in South African broadcasting; Real talk on 3. The guest is a decorous woman with a hugely apparent aura. She’s sitting composed in an elegant manner, talking to the host about her childhood of growing up in a big family and being raised between two countries. She smiles warmly. Slightly unfolding her arms to gesture graciously, then interlocking her hands again. Her hair sits neatly on her shoulders, a monochrome blazer over a scarlet top and a courteous calm that’s well collected. Azania, the host, asks her a question motivated by an extract from an O Magazine issue that was a reflective piece on her 16 year old self. “I would’ve wanted her to know that she’s beautiful as she is” She says. “and that beauty comes in different packages. I also would’ve wanted her to know that she’s enough and that she’s designed for a particular purpose and she’s beautiful and adequate for that purpose” she finishes off her reply. This time, I smile. 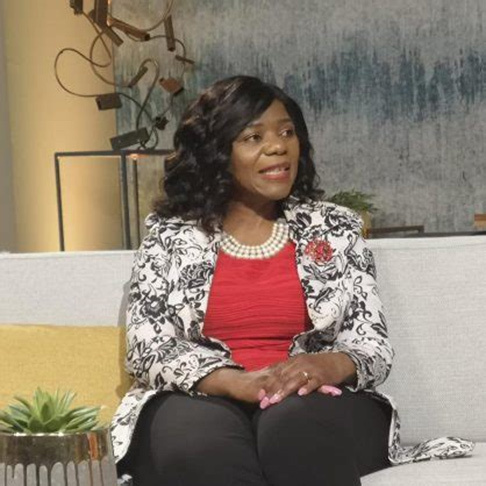 Five-time honorary PhD holder and former South African public protector, Advocate Thuli Madonsela is a radiant beam of positive energy and the epitome of social justice. Mbabane was recently abuzz with activity due to the 2018 Global leadership summit. The two-day split event held over a course of two weeks (7-8 November and 14-15 November) and hosted at the Emafini estate just outside the city was graced by a variety of mixed industry personnel and led through live talks and video casts by an all-star panel of the world’s most influential leaders. From Bishop TD Jakes, Econet group founder and chairman Strive Masiyiwa, best-selling author Simon Sinek, leadership expert John C Maxwell, Ritz Carlton founding president Horst Schulze and even advocate Thuli Madonsela just to name a few. 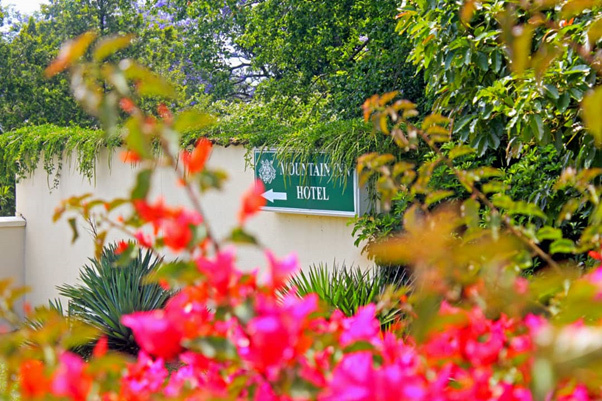 With Mountain inn being the preferred hotel in the capital, it’s quite a common thing to have well known guests walking through its doors from time to time. Remember when David Beckham made Princess Drive his hideout during a very lowkey UN trip back in 2016? Then there was Eugene Mthethwa of South African kwaito group fame, Trompies just last year. 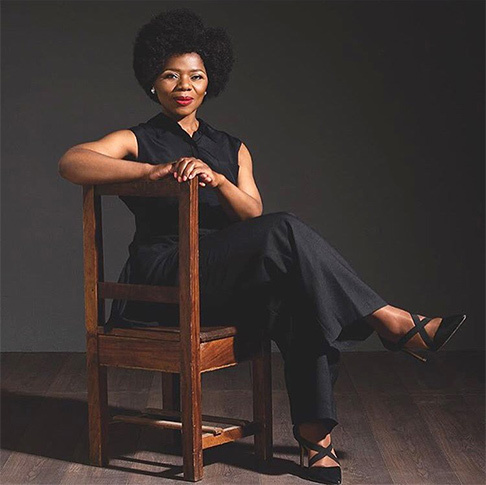 This year, the ultimate haven had the honour of being the home away from home for none other than the ever so radiant Advocate Thuli Madonsela. I’m an avid reader. It comes with the territory of being a lover of words and ironically enough, I just got my hands on No longer whispering to Power; a book written by journalist Thandeka Gqubule about the career and tenure of South Africa’s former public protector. The book extraordinarily captures the advocate’s leadership style which can only be summed up as having being without fear or favour. Her service to the public protector office was from 2009 to 2016 and it was this role that earned her international praise for her efficiency and professionalism. Black Girl magic if you ask me for it was during her tenure that her whisper unignorably grew into a loud cry. Ms Madonsela now holds a chair in social justice at the Stellenbosch University where she is also a professor of law as well. A woman of valour who has successfully and unapologetically dedicated her calling to lifelong activism on social justice, constitutionalism, human rights, good governance and the rule of law. It’s no surprise she was named one of TIME100’s most influential people in the world back in 2014 and Forbes Africa Person of the Year just two years after that. So, pardon me if I can admit that I watched the entire interview with a pen and notepad in hand, gawking at the screen and completely captivated by the powerhouse that she is. The Mountain Inn welcomed the advocate on the second week of the summit, where she was accommodated in one of the hotel’s newest rooms in the prestigious south wing. You know, the wing with the gorgeous view that people travel from all over the globe to see. The south wing’s six new units which are made up of interconnected rooms, spaciously designed and nothing short of stunning, were unveiled earlier in the year. Making them the people’s latest favourite and an architectural marvel too. I wasn’t there when the advocate arrived. And I can’t help but be jealous of those who were. I’m sure she probably smiled her warm smile. Just like the one on the interview episode. Cool calm and definitely collected. I’m sure she had a conversation or two with management and excited staff, shortly before being offered a cup of our famous coffee in our green lounge, after which being diplomatically escorted by a porter to her suite. Room 42 to be precise. I’m also pretty sure she, like most visitors to the hotel, stood in full wonder of the view and probably even woke up early to catch the sunrise while prepping for her live talk at the Emafini estate. She probably had a moment to spare to enjoy the continental breakfast in the morning too, she seems like a croissant type of woman, sitting deeply immersed in the sounds that are all too familiar with the breakfast room. She probably checked out as gracefully as she had checked in, maybe even enquired about one of the numerous paintings on the wall that had caught her attention, before finally handing over her key card to a polite receptionist. Then walking out the tall glass doors and out into the light of day; adding her name to list of high standing guests to have been hosted by the charming hotel. I wish I could’ve met her during her brief stay in the country. Her impactful leadership, pursued purpose and her commitment to social justice, offers an exciting glimpse into the awakening of women of colour. It is now almost impossible to miss the steadily growing roar that has prompted more female leaders to stand by their convictions no matter the political landscape. I can surely say she remains an enigma. A force of some sort. A catalyst of radical change. And of course, one of the many faces to have walked through the doors of the beautiful urban getaway on Princess Drive. I now can’t help but wonder if she enjoyed our famous coffee. But then again, who wouldn’t? If she ever does return, I’ll be sure to ask. Till then, I’m still the girl with the big hair in the lounge, scribbling notes from a green soft chair. Do swing by.